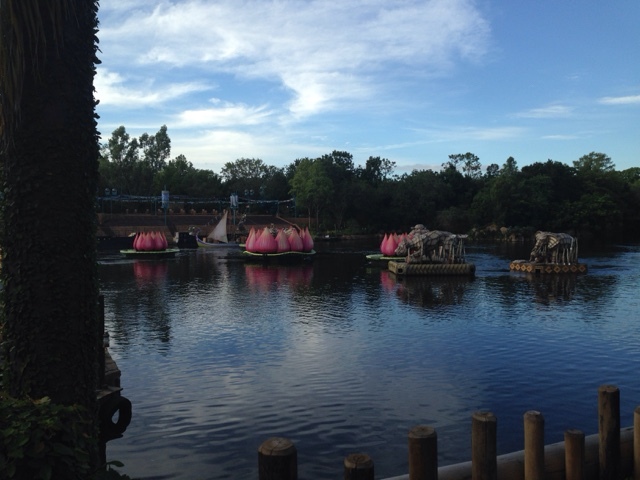 Rivers of Light demo: Initially reported by Orlando Parks News, Disney apparently presented a showing of Rivers of Light this past Sunday after midnight. The music was heard by people outside of the park itself. It was likely for executives to preview the presentation. 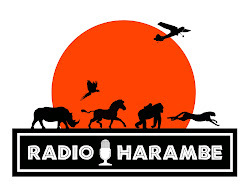 This does go hand in hand with rumors circulating that Destination D patrons this coming weekend will also get a preview of the show. As you may recall from prior posts, there is a presentation by Joe Rohde on the past and future of the park followed by an unspecified event in a park. They have promised new information on Avatarland stuff. We will see if the sneak peek at Rivers of Light is also in the cards. Stay tuned. Christmas is Here: The usual eclectic holiday decorations have made their appearance at the park. 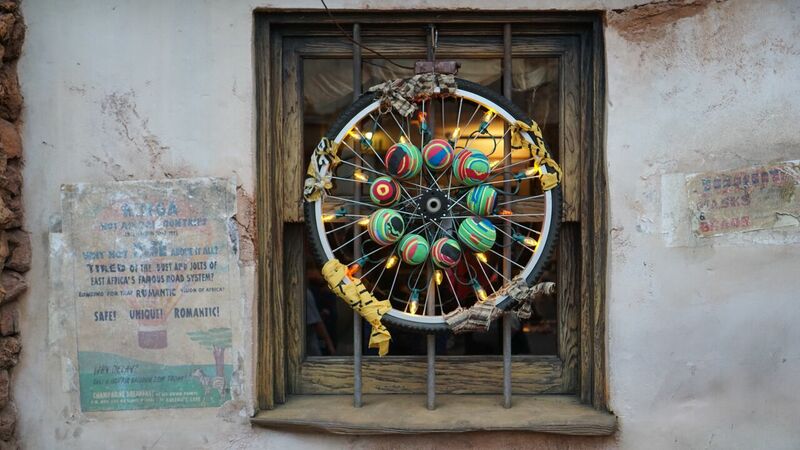 At the Animal Kingdom, look for animal themes and decor made out of unusual items like old cans and bicycles. Of course this year, there will be a few hours of after dark touring where the decorations are lit up. Enjoy.